Les Carroz D'Arâches is an integral part of Le Grand Massif which consists of five linked ski resorts each with their own unique slopes and terrain. 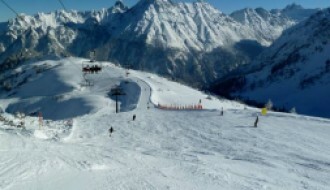 Carroz is considered the easiest access to Le Grand Massif, positioned at 1140m above sea-level. In this investment guide Les Carroz D'Arâches shines as a fast growing, fun, exciting way to enjoy the French Alps, with amazing views of Mont Blanc from most of the slopes. Free shuttle buses take cross-country fans up to the Agy Nordic Ski area, where they will enjoy stunning panoramic views of the surrounding mountains. There are also 10km of snowshoe trails, so there’s always plenty to explore on foot. Families looking for things to do in Les Carroz D'Arâches should check out the heated outdoor pool. Swim, play and stay cosy and warm while taking in the views of the mountains and slopes. Or stay late, until 8pm, and enjoy the stars coming out over the pool. If you need a break from the kids, take advantage of the ‘adults only’ days for some peaceful relaxation. A new development for 2018 is the virtual reality luge, combining a thrilling descent into the mountains with the fantasy world of dragons. Relax and unwind after all that thrill-seeking, with a range of treatments and therapies designed with well-being in mind. Enjoy a full-body massage or learn a skill such as Tai Chi or Qi Gong. According to the snow report, Les Carroz D'Arâches enjoys about 50 days of snowfall throughout the season, which runs from December to April. 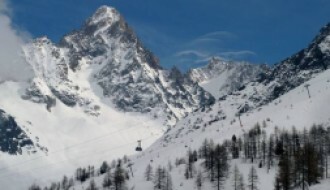 The extended season is due to many of the slopes being at high altitudes, so the snow lasts for longer. From the historical weather report, Les Carroz D'Arâches temperatures can reach highs of 21 degrees in July and August, making it ideal for getting out and about and exploring nature. The nearby Jardin botanique Alpin de la Jaysinia is a wonderful display of Alpine flora. Or experience the drama of the Cascade de l'Arpenaz, a stunning waterfall in nearby Sallanches. The Arts and Expressions Cultural centre in the Les Carroz D'Arâches village square hosts exhibitions and workshops from various artists throughout the year. More unusual workshops include classes in geology, where you can learn all about precious stones. The local library has a collection of over 5000 books, graphic novels, DVDs and board games so there’s never a reason to be bored in Les Carroz D'Arâches. As a diverse region, Carroz D'Arâches delights visitors with the sheer volume of restaurants and diversity of cuisine. 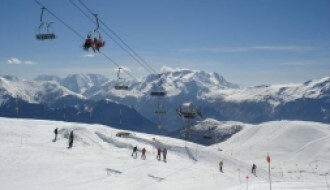 Enjoy French cuisine at an altitude of 1110m or experience true fine dining in nearby Flaine for a touch of indulgence. Buying a property in Les Carroz D'Arâches means investing in an area that’s constantly expanding and developing. 2017 saw the construction of some beautiful apartments in a peaceful area close to the slopes. One and two bedroom properties built in the classic chalet style hold a range of modern amenities, perfect for the savvy investor. These new properties include balconies and covered parking spaces and are only 10 minutes from local facilities like the supermarket and petrol station. More chalets are in development all the time in this ever-growing Alpine village, with 22 large apartments to open in 2019 just minutes from the ski lifts. 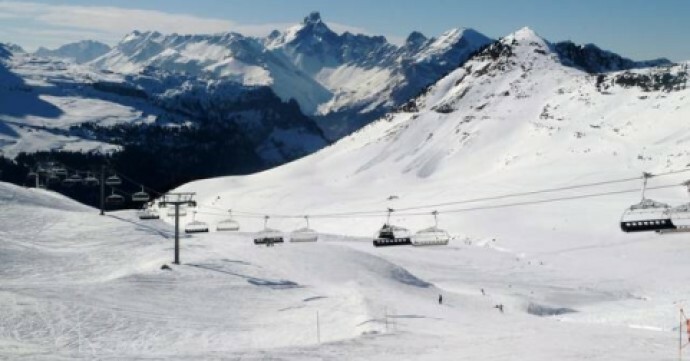 Further developments include new and faster access to Le Grand Massif ski area, via Les Carroz 1500 and the Tête des Saix chairlift. Money is constantly being poured into the area, with a big focus on technology such as better Wi-Fi and mobile phone charging pods. The resort is about an hour’s drive from Geneva Airport, where there are also various taxi services and shuttles available. It’s also possible to catch the train to Cluses Station, which is only 20 to 25 minutes away from Les Carroz D'Arâches, depending on weather and traffic. There’s also a regular bus service from Cluses. For transport around the area, the Haute-Savoie county council has set up a carpool programme which can save money and is great for the environment.